We have been publishing a series of articles on our blog that highlight some of the staff that work with and at the Edmonton Convention Centre (SCC). Our last post spotlighted Alexandra Hryciw, Social Media Specialist. 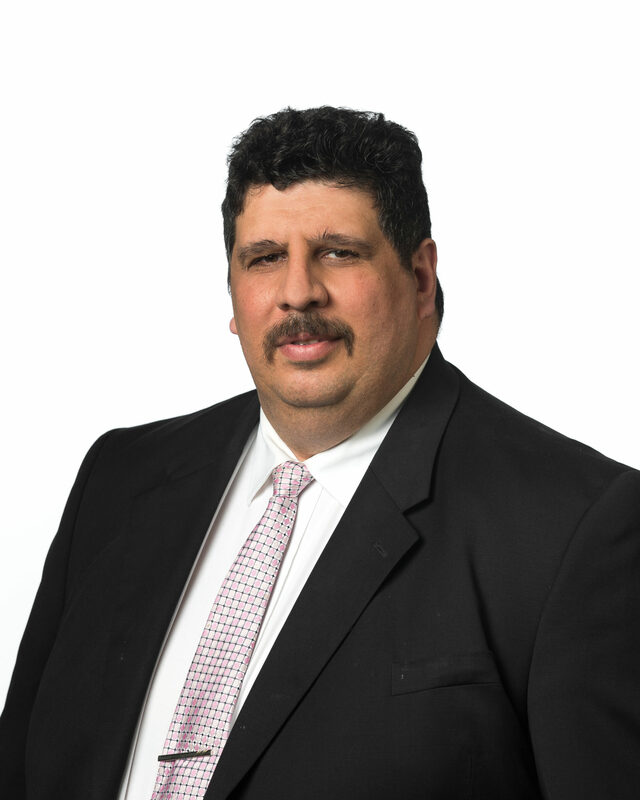 For this post, we met with Joe Hajar, Assistant Event Services Manager. He coordinates the movement of people and materials for the events that take place at SCC. Joe has worked at the venue for 25 years, beginning his career as a crew member on the event setup team. 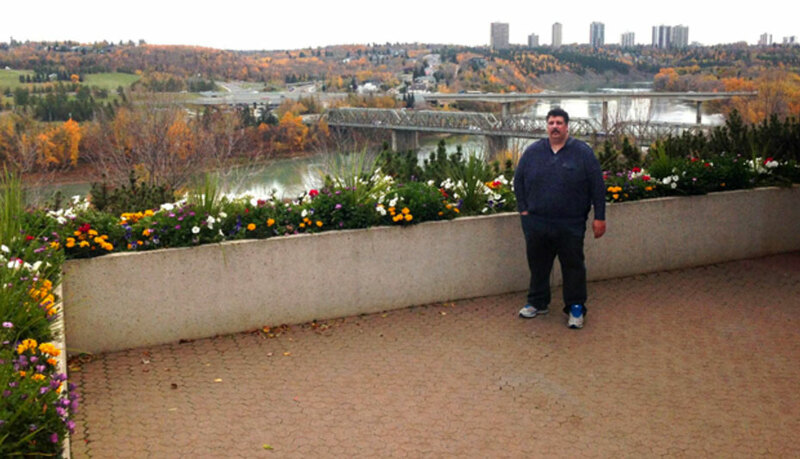 Joe standing outside one of his favourite places in the Edmonton Convention Centre, the Riverview Room. The first thing I do when I arrive is check in with my supervisors. They’re onsite usually around 7 a.m. and are meeting with the client to see if there are any last minute changes to accommodate before the doors open for the event. Once the event is underway, I’ll go through payroll, attendance, and meet the rest of the clients who are here. Usually by the afternoon, I’m in a meeting with my manager and housekeeping so that we can plot out the rest of the day. One of the best things about the job is no two days are the same. I’ve learned throughout the years that to be successful in my position, it’s important to be as proactive as I can. That’s why our team is constantly communicating with each other throughout the day. In some cases you will have a meeting or event where the coordinators expect 100 people and then 200 show up. You have to be agile and ready to move the location quickly to find something large enough to accommodate them. What has been the highlight of your career at SCC? The highlight has definitely been working on the Homeless Connect Edmonton project, of which SCC is a founding partner. This is an opportunity for SCC, local businesses and individual citizens to give back to the community. We help those who are less fortunate by providing them with a hot meal, a haircut, clothing, dental care, and access to housing information, among other things. What do you like most about working with your team and being a part of Edmonton Economic Development Corporation (EEDC)? What I like most is that we’re all a very dedicated and passionate group of individuals that work extremely hard to make sure everyone’s experience here at the centre and in Edmonton is an exceptional one. What are the most commonly overlooked details in putting together an event? Coat racks. When you have clients arrive, it’s always one of their last minute requests. For conventions, it’s break times. We have to make sure that snacks and coffee are put out when a convention breaks. It’s important to keep us updated if anything changes. What is your favourite space in the building? I would have to say the Riverview Room. It’s on the far end of the building and overlooks the River Valley, North America’s largest urban parkland. At night you have a great view of the stars and lights of the city. It’s very calming and relaxing. We host a variety of functions in this space, from weddings to meetings and media events. We recently hosted delegates from a large Asian market who came to see everything that Edmonton has to offer. The room has also been a green room for some rock stars. They’ll usually come in before they play a show, which allows them to have a bit to eat but be away from all the noise of the show being setup. What is the best concert you have seen at SCC? There have been a bunch, but Nickelback is probably the most memorable. I think it was when they first came out, so it was new music. Seeing new bands perform and go on to make it big is always cool to see. Walk me through the day of a big event. What are your biggest concerns and how do you make sure everything goes smoothly? I have my team on the floor so that they are approachable, and we are in contact with each other throughout the day. We use radios so that if someone needs something, we’re able to be reached immediately at any point during the show. We regularly check-in with the client and SCC Client Service Manager to ensure everything is running smoothly. One of the most important things we have is a pre-convention meeting with the organizer of the event. We go over any concerns they may have or items that they want us to pay special attention too. This may include a changeover from a meeting to a dinner or something that requires specific timing. Much of our job revolves around the timing of logistics. Proper timing and precision are two of the key elements of having a great event. If SCC could host any artist in the world, big or small, who would you like to see? If I were to dream real big, I’d love to see Taylor Swift, or one of my all-time favourites Mick Jagger. He usually sits down and jams a little, and is known to pop in at some of the smaller venues once and awhile. I would have to put him in Hall A, B, or C or maybe even the Riverview Room for a 90 person concert. Since I’ve been at the venue, we have hosted some of the world’s biggest artists. Pearl Jam, ZZ Top, Sheryl Crow, Backstreet Boys, ‘N Sync, Motley Crue, and Def Leppard have been just a few. I love K-Days, the warm sun and people laughing & enjoying themselves. The Edmonton Folk Music Festival is another favourite. If I were showing off the beauty of this city I’d take visitors to the Muttart Conservatory or a drive through the new Ice District. What are your favourite kinds of events to co-ordinate and why? I’d have to say the conventions that come in for two to three days. Normally, we’ll be here helping them from beginning to end. We know exactly what is happening and can anticipate what they need from the initial pre convention face-to-face meeting. We try to find out, “What may be needed or what may be lacking,” so that we can share from experience. I have learned that no convention is the same as another. They may look similar on paper, but as the show goes on, you’re quickly made aware of the differences and need to be quick to respond. I find personal contact really helps so that they can find you in a crowd of people as well. If you weren’t an Events Services Assistant Manager, what position at SCC would you want to have? If I were to be working in any other position, it would definitely be as a Client Service Manager. It’s nice to have the opportunity to deal with people one-on-one more often.